Check out Craig Ex, of Expert Joints, getting hazy AF off that award-winning Lindsay OG™ from Liberty Farms as he does a meet and greet (or shall we say, ‘chief and greet’?) at Vapor Central in Toronto after a jam-packed day at the Cannabis Life Conference. Vapor Central was home to last year’s Karma Cup, and Craig had a chance to sit down with the organizer, Sarah Sunday, to chat about the upcoming 4th annual edition. You can expect even more with this year’s collection of excellent vendors, spellbinding speakers, and music that’s sure to get you moving and grooving scheduled for Toronto, September 9 & 10. Toronto-based dance producer Trypt was also in the building, rocking a Temple of Calyx shirt and looking forward to those Lindsay OG™ dabs. After getting a light from Devin of Weedmaps, Craig said ‘what’s up’ to Honey Badger Extracts, which started off as a hobby back in 2008 and grew from there. He also talks to tweedledoob, one of Canada’s coolest weed girls, and takes a look at some of her awesome weed-related merch. Previous ArticleGoodbye 5 Dollar Gram! Craig Ex aka 'The Expert', is the Founder, CEO and President of Expert Joints; as well as the Producer and Star of the weekly weed webcast ‘Expert Joints LIVE!’ After more than twenty-five years in the Cannabis Industry, his mission began with providing ‘well put together’ videos and information on all things rolling related. 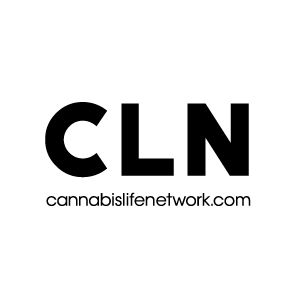 Now having worked with many of the biggest names in the business, along with amassing tens of thousands of followers and millions of views; Craig Ex is a rapidly emerging new talent in the marijuana media and an industry influencer.